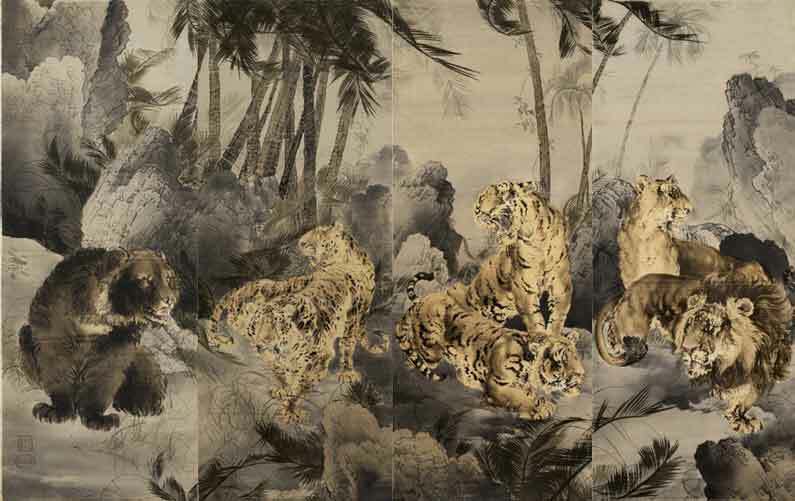 Takashimaya producer, unused screen panels depicting bear, leopards, tigers and lions, paste-dyed cut and uncut silk velvet (yūzen birōdo), 1895–1910, each 54 x 23 ¾ inches. Susan Tosk Orientation Gallery ©2016 Noel Allum Photographer. The Takashimaya Company, one of the leading Kyoto-based producers of fine art textiles for export, was founded by Shinshichi Iida I in 1829 as a second hand formal clothing and accessories store. It became known as Takashimaya in 1831 and acquired a silk drapery retailer’s license in 1855. 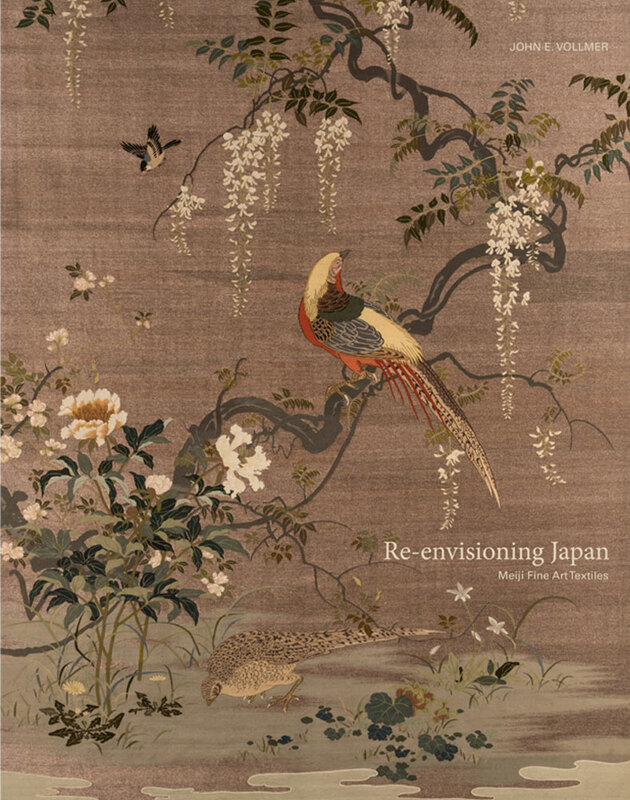 After the Meiji Restoration in 1867 the store shifted its business focus, stocking Western carpets and other domestic furnishings. Initially these trappings of the new “modern life” were acquired from established Western operations in Yokohama and other port cities. At the same time, staff in the Kyoto store witnessed a succession of foreigners purchasing textile products, sparking the idea of carrying textiles that would particularly appeal to the foreign tourist market. Photographer unknown, façade of Takashimaya store at Karasuma and Takakura Streets, Kyoto, © Takayashima Historical Museum, Osaka. In 1876 the company supplied fukusa (gift covers) to the American trading company Smith, Baker for the Centennial International Exposition in Philadelphia. 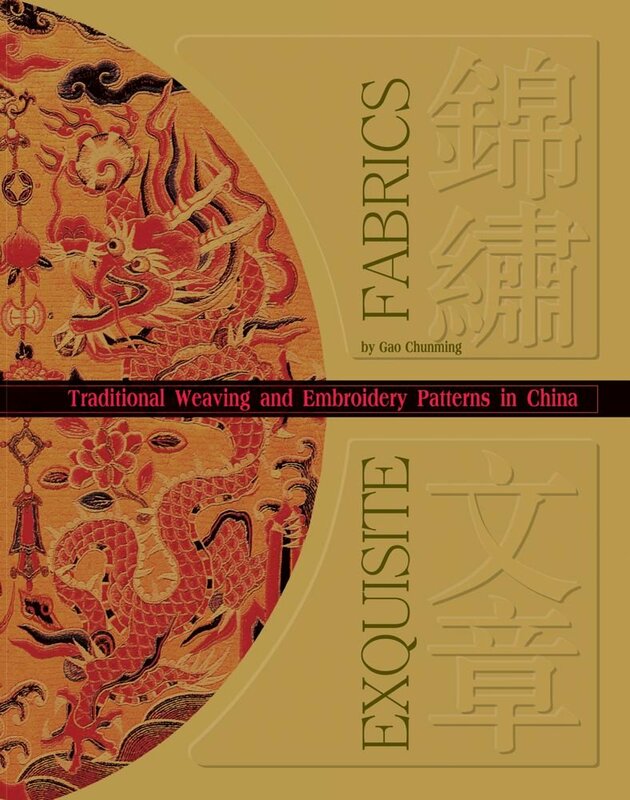 This was followed by other contracts, such as that with the German trading company Ahrens and Co. of Kobe in September 1881, who wanted Jacquard-woven figured silk yardages. As foreign trading activities flourished, the company hired new staff to keep up with orders. In November 1877, Takashimaya hired the embroiderer Tatsunosuke Kato and the store started producing embroidery works under its own brand, rather than buying stock to sell from other ateliers. 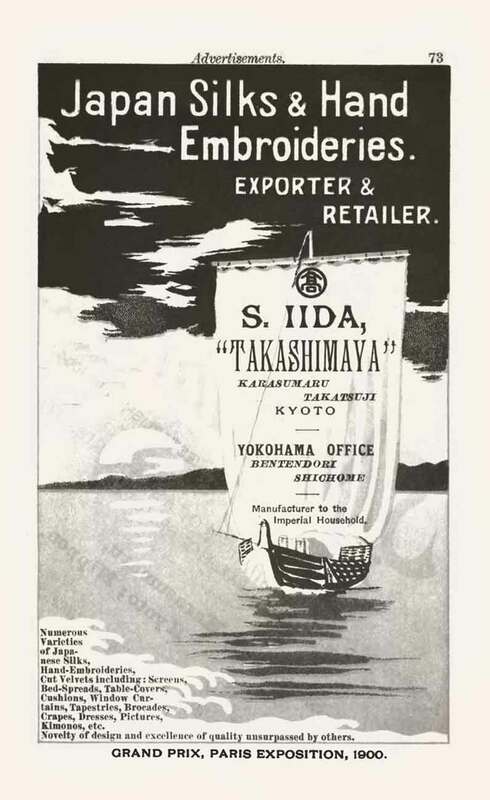 Takashimaya advertisement, 1901. Published in Basil Hall Chamberlain and W. B. Mason, A Handbook for Traveller in Japan With Twenty-Six Maps and Plans and Numerous Illustrations, sixth edition, London: John Murray, 1902, p. 297 (advertisements). 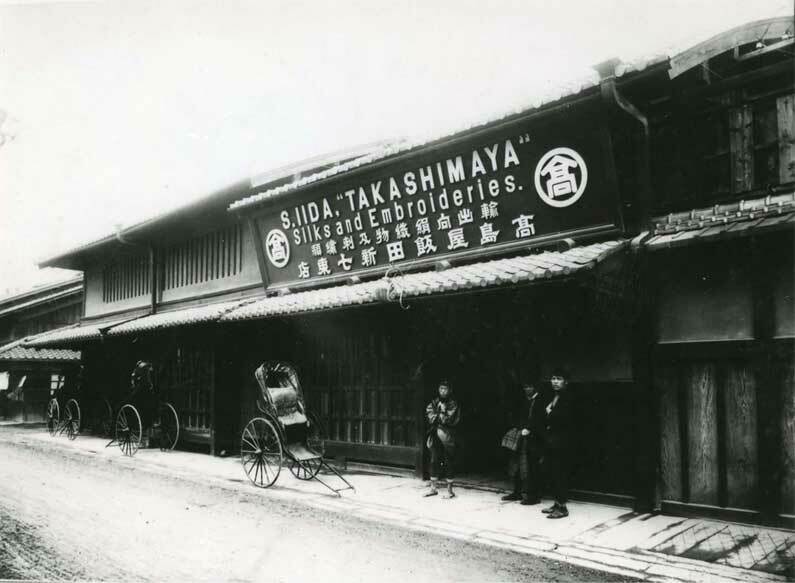 In 1887 Takashimaya opened a Foreign Trade Division. This division dealt with domestic sales to foreigners and direct overseas trade. In 1897, the head of the company, Shinshichi IV sent his brother, Tasaburo, to France to open an office in Lyon in order to do business directly. A London office opened in 1903. The Takashimaya Historic Museum in Osaka holds 38 photograph albums, numbered 32 to 59, labeled with the Foreign Trade Division name. The albums contain photographs of works entered in overseas expositions and photographs of other works presumably made for export. A photograph of “Four Wild Animals” appears on page 131 in the Takashimaya photograph album number 49 of works supplied to the Dara Serra Company. The order of the panels and the backgrounds differ, undoubtedly a result of each panel being individual hand painted with dye pastes. 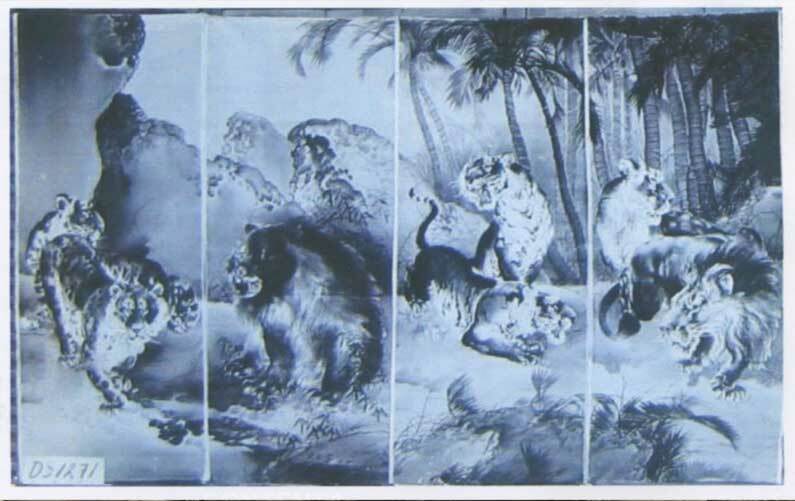 “Four Wild Animals” screen panels from Foreign Trade Division album no 49, p. 131, 1890s. © Takayashima Historical Museum, Osaka. The works in album No. 47 were orders for the Paul Brothers firm based in Yokohama. Album No. 48 and No. 51 contains photographs of works sold to the French firm of Pierre Ortet, while No. 49 and No. 50 include works for the French firm Dara Serra. Each panel bears a square seal stating “darasera” in katakana and “kaisha” in characters. 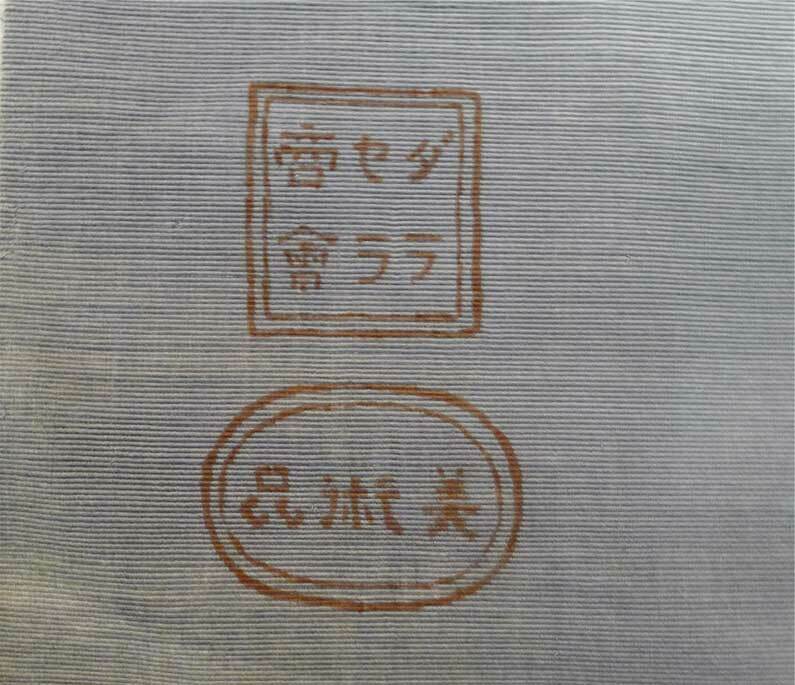 Export/import stamp from paste-dyed cut and uncut silk velvet (yūzen birodo). Susan Tosk Orientation Gallery ©2016 Noel Allum Photographer. In 1875 Sōzaemon Nishimura XII, director at Chisō hired the chemist Hirose Jisuke to improve dyeing processes utilizing new Western chemical dyes. By 1879 Jisuke perfected the use of these dyes in a rice paste medium that could be applied through stencils (kata-yūzen) and then fixed to the silk by a steam treatment, which revolutionized yūzen dyeing. 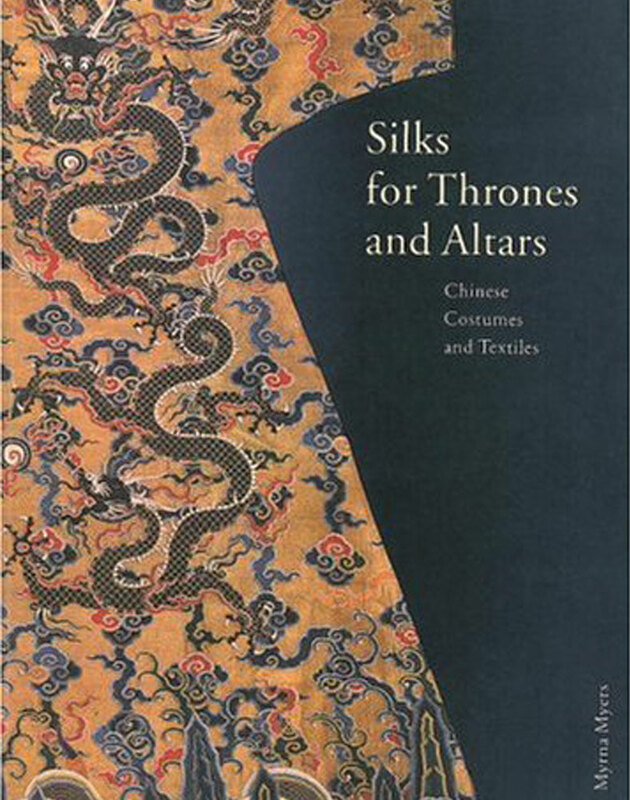 And in 1878 Nishimura introduced yūzen birōdo, or velvet using Japanese paste yūzen dyeing. The process made it possible to achieve sophisticated chiaroscuro effects, which were highly appreciated in the West. A notable feature of these fabrics was that just the design area would be cut to raise the pile, creating a three-dimensional effect. The first successful efforts to produce yūzen velvet were on exhibit at the Second National Industrial Exhibition held in Tokyo in 1881. 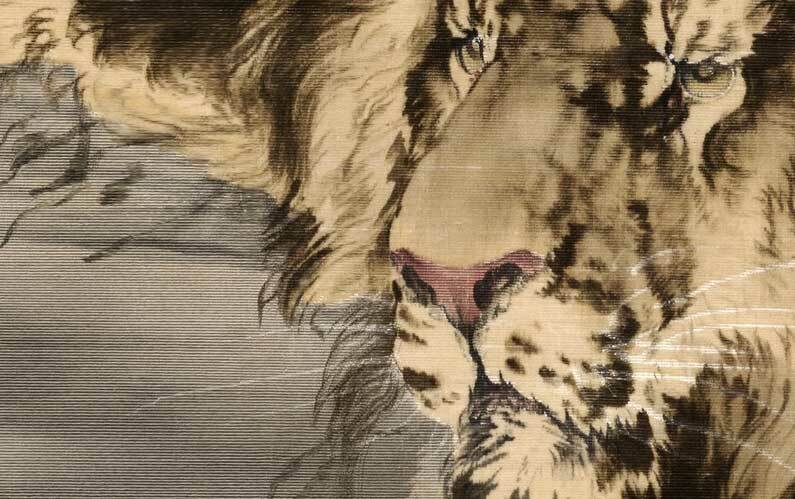 Takashimaya producer, Detail of screen panel depicting lions, paste-dyed cut and uncut silk velvet (yūzen birodo), 1895-1910, 54 x 23 ¾ inches. Susan Tosk Orientation Gallery ©2016 Noel Allum Photographer.